Landscape companies in and around Denver who are looking to fill labor positions often seek creative ways to recruit new workers. One local resource for short-term laborers is Centro Humanitario. Centro Humanitario Para Los Trabajadores (El Centro) is a Denver-based day laborer center promoting work, dignity and community. 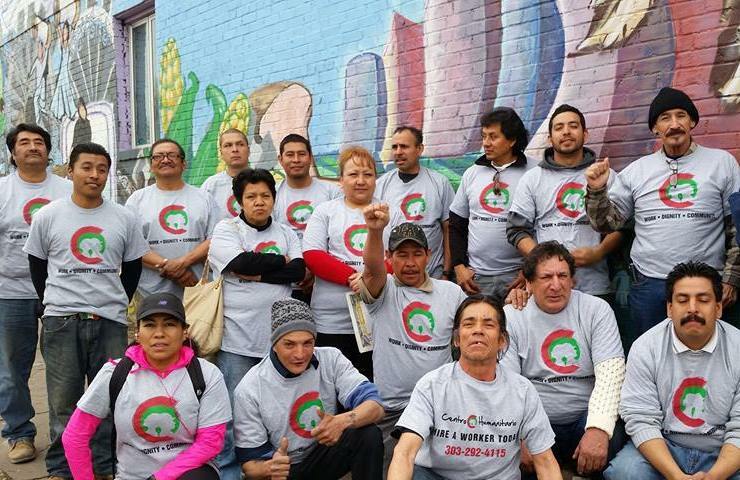 Its mission is to promote the rights and well-being of day laborers in Colorado through education, job skills, leadership development, united action and advocacy. Employers who hire workers through El Centro must fill out an intake with their contact information and describe the specific requirements of the job. El Centro’s staff will help them identify dependable workers, arrange skill-specific laborers if needed, and assist in resolving any difficulties or misunderstandings that may arise between employers and employees. While the agency prefers a day or more notice, employers can request laborers with as little as several hours notice. El Centro workers receive a minimum of $12/hr, at a minimum number of 4 hours for general labor. In cases where more skilled labor is sought, employers are encouraged to negotiate a better rate for workers who are prepared to demonstrate their background and experience. On a recent visit to El Centro, roughly half the workers on hand claimed some experience in the landscape industry. For some employers who need extra help for a day or two or who find themselves suddenly short the labor force to complete a project, El Centro might be a helpful resource. Employers can also share their job opening information with staff, who will post a flyer at the center.